Smoking/Non-Smoking. Family & Jacuzzi rooms available. Complimentary continental breakfast. Ample truck, U-Haul and boat parking. Restaurants nearby. 60-channel cable TV, including HBO, ESPN, MAX, CNN, TNT, AMC and many more. No pets allowed. Smoking/Non-Smoking. Seniors, AARP and corporate, discounts available. Queen, King, Queen-Queen beds available. Refrigerator in rooms. TV with remote control for HBO, CNN and ESPN. FREE wireless, long distance and local calls. Complimentary continental breakfast and guest laundry on premises. Exterior corridors. Restaurants and service stations nearby. (I-77, exit 65, near the Waffle House). 39 rooms. Smoking/Non-Smoking. Many restaurants and service stations within walking distance. I-77, exit 82-B. This new hotel (opening in late 2019) offers 130 well-appointed suites with separate areas for living, working and sleeping, as well as free high-speed internet service. Guests can start each day fully fueled with a complimentary breakfast and then wind down in the evening at the full-service bar offering local craft beer and premium wines. A 24/7 Market, business center, fitness center, laundry facilities and an outdoor swimming pool with whirlpool. Carowinds is widely known as the premier entertainment destination of the Carolinas. Now the park takes the concept of “destination” a step further with the opening of its first on-site hotel. After a full day of fun, guests can relax and recharge right where the Carolinas come together. 62 comfortable rooms in a new property. 70% non-Smoking, suites, executive rooms & handicapped-accessible rooms available. Complimentary continental breakfast. Many restaurants nearby, 53 channel cable TV, including HBO, ESPN, MAX and SHOWTIME. Fitness center, guest laundry, free local calls, corporate rooms. AAA and AARP discounts, children under 12 stay free. No pets allowed. Features 12 non-smoking suites. Guests can enjoy phones with voicemail and internet access. Amenities include microwaves, refrigerators, remote-controlled 19-inch cable television, hair dryers, irons with ironing boards, coffeemakers, complimentary toiletries. Conveniently located at the main entrance on the campus of Winthrop University. Recently renovated with easy access to area activities and shopping. 14 rooms. AAA approved. TV, phone, coffee service. Restaurant nearby. 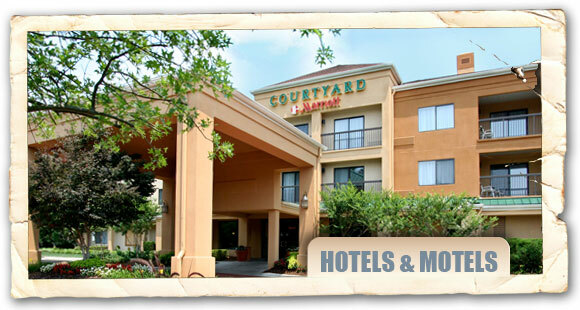 An extended-stay hotel is conveniently located to area attractions and the Charlotte region. Relax and feel at home with a fully equipped kitchen and high-speed Internet access. Amenities include an outdoor space with comfortable seating, fire pit, Weber grills and an outdoor swimming pool! 83 rooms. Smoking/Non-Smoking. Continental breakfast. Senior rates available. Pets welcome. Daily and weekly rates. 80 Rooms. Offers smoking and non-smoking rooms with interior corridors and electronic room entry. Rooms are furnished with either one king or two queen beds, and every room is equipped with refrigerator and microwaves, free coffee and coffeemakers, iron and ironing boards, hairdryers, deluxe walk-in showers, cable television with free HBO, movies on demand, voice mail, and complimentary high speed wireless internet access! Amenities include an expanded deluxe continental breakfast that offers fresh Belgium waffles, assorted fresh fruits, yogurts, and a complimentary USA today newspaper. Outdoor pool and patio area. Handicapped accessible rooms as well as whirlpool suites available. 3540 Lakemont Blvd., Fort Mill (I-77, exit 90). 113 rooms on four floors provide all-suite, apartment style efficiencies geared for the extended stay traveler. The studio suites feature one or two queen beds with home-like amenities. Every suite includes Internet access, a 39” LED television, workspace, recliner, full-sized refrigerator, stove-top, microwave and dishwasher. 108 guest rooms and suites with entertainment center including Netflix, Hulu, Crackle and Pandora. 1,263 square feet of meeting space is available onsite for both business and family gatherings. Groups can enjoy the spacious outdoor pool and patio area while enjoying all the comforts of home. Start the day right with complimentary hot breakfast featuring healthy options – and take advantage of free high speed internet throughout the hotel. Restaurants, grocery and retail stores are just minutes from the hotel. (I-77, exit 79). A contemporary, extended stay hotel within walking distance to shopping and dining options, as well as popular attractions. Spacious studio or one-bedroom suites. Every room features plenty of storage space, a full kitchen, and a living area with sleeper sofa and an HDTV plus complimentary WiFi and a complimentary breakfast. Other amenities include a heated indoor saline swimming pool, outdoor patio with lounging and grill areas, and the innovative Spin2Cycle laundry and fitness facility, plus a 24-hour business center and flexible meeting space for small meetings or events.